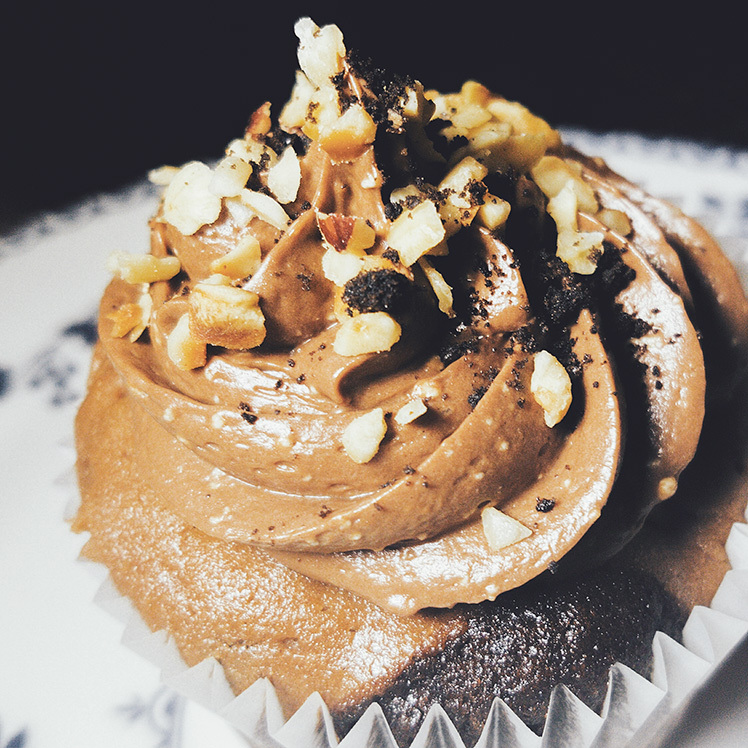 A chocolate sponge baked with a Nutella cheesecake topping. 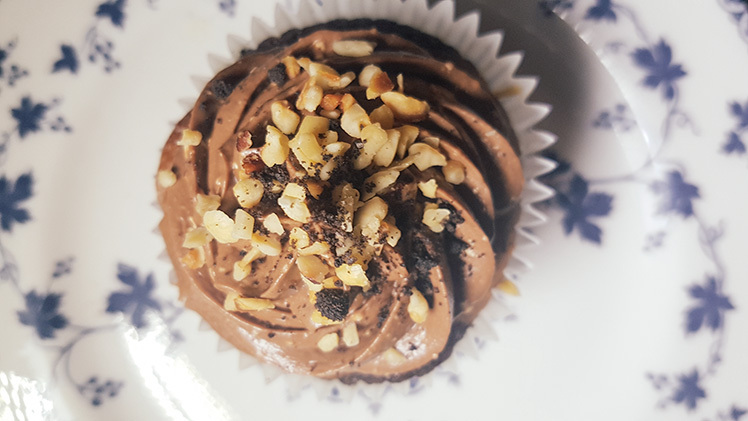 Topped with a chocolate cream cheese frosting and a sprinkle of toasted hazelnuts and Oreo crumbs. I had a busy day baking yesterday. 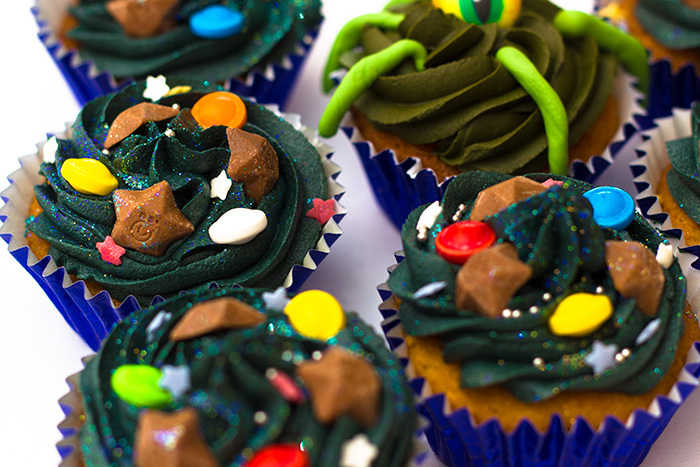 I had promised a lot of people that I would bake them some cupcakes and I wanted to donate to a few macmillan coffee mornings so I thought I would get it all done together. 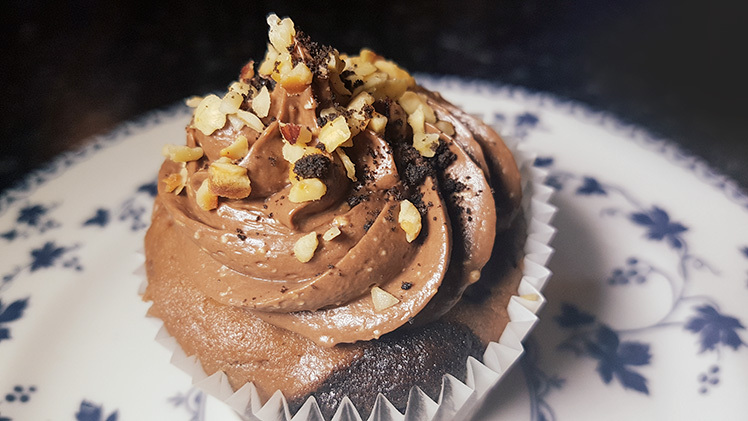 So I baked triple chocolate cupcakes, apple pie cupcakes, black forest gateau cupcakes and these delightful Nutella cheesecake cupcakes. Recipe adapted from The Scran Line. Finish with a sprinkle of crushed hazelnuts and Oreo crumbs! I’ll be honest…I wasn’t too sure when I first tried them, but I think it’s just the cream cheese aspect. I LOVE cheesecake, but when I make it myself all I can taste is the cheese so I get put off. I’ve had some wonderful feedback on these though so I think it was just me. If I was to make these again I would probably change the frosting and find a recipe that doesn’t need the milk powder. All other recipes from yesterdays mammoth bake to follow shortly!